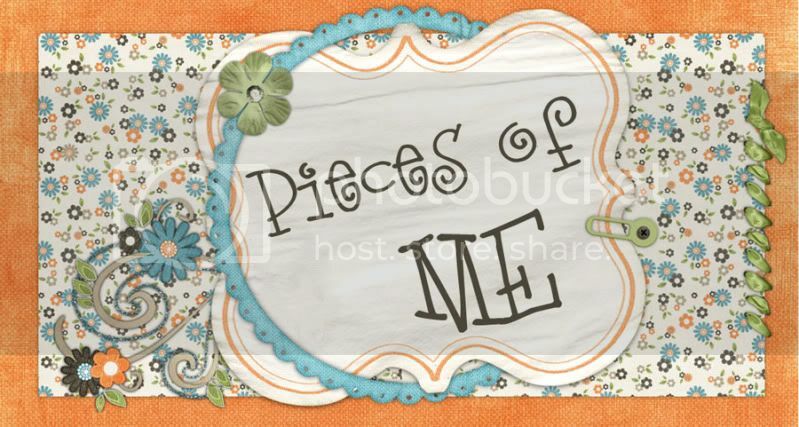 Pieces of Me: And the award goes to . . .
my dear sweet hubby for Husband of the Year!! As many of you know, I kept a boatload of children this week at my home. And I do not believe I complained twice. Once, I'm sure of. . . I was very tired, but I'm fairly certain, I just went with it and attempted to keep everyone happy. And I did have a great week with the girls and Cayden. It was lots of fun. But it was exhausting. * Attend a SpeedScrap Chat online at 9 am. Wanna see my layout? This was a challenge for me. We had to use the kit Urban Solitude, and I was having issues with trying to figure out how to make this kit childlike. * Massage at 12:30 pm - best massage of my life. Alex from Massage Harmony, thank you soooo much. * Lunch at Central Market - Basil Pesto, Artichoke, Mushroom, and Olive Pizza on thin crust - AMAZING. * Bra shopping at Nordstroms - no more nursing bras!!! * Walk with both dogs - this was not fun at all and towards the end a big dog tried to attack us - owner was a little slow to react, but I'm ticked that the dog wasn't on a leash. Grrrrr. * Bed pretty late, but nothing planned for tomorrow except to figure out how to get Buster in to get his nails trimmed, OUCH. So there you have it. I'm thinking of going to a movie but haven't quite decided. I may just sit here in my PJs all day. I need to get to the grocery store to get Hannah her favorite lunch items for this week and to pick up the ingredients for tonight's menu item for church. Thinking of baking a tart. At any rate - I think my hubby's the best. This was my first time away from my kiddos in a very long time - ever if you count that they are actually not in Austin. Rose Anna ~ I'm glad you got some much needed R&R. I know that the couple of times I have left Natalie with Zane to go out of town to Washington for a long weekend, it has felt so ODD. I've enjoyed it and come back feeling great, though. Sorry I missed your call this weekend! Glad that things are going well . . . call me tomorrow if you want to chat. If not, post pictures (I trust that you will anyway). HUGE hugs to you both ~ and BLESS YOUR HEART for making a lunch! :-] That was one thing I told Natalie I will NOT do. I know, bad mommy. I'm a big believer in the "Mommy time out" .. Glad to see you're taking full advantage of your time to yourself! You'll be in great shape to start such a big week!